Yes… I am talking about the waste of time that thousands of Realtors continue to participate in week after week on Sundays in Massachusetts….THE PUBLIC OPEN HOUSE. Let me rephrase that…A waste of time for the seller of the home. This will probably come as a surprise to you but Nationally less than 1% of homes sell from a public open house! In the majority of cases serious buyers are looking at homes with Realtors. So who goes to open houses and why do Real Estate agents continue to do them? There are a numerous plausible reasons for both of these questions. 1st lets address who you can expect to show up. Your neighbors – curiosity will be a driving force for many of the people on your street. You can also expect your nosy neighbor to be there to compare what you have in your home to theirs. The “professional” Sunday open home looker – these are the folks that just like looking at homes. Homes after all are interesting…they all have there own unique features. You can expect this person to just swing in for a quick look after seeing a Real Estate sign outside the home. The Unqualified– This is one of the more common attendees of an open house. If you are selling a home for $500,000 you expect the potential buyers walking through to be qualified to spend $500,000 right? WRONG…more often than not the people walking through will be unable to spend the asking price. If there wasn’t an open house would you want your Realtor bringing people inside your home that are not qualified? 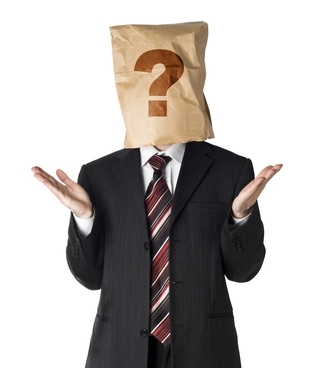 The “idea” person – this is someone that will walk through the open house to get “ideas” for their home. It could be any number of things such as decorating, furniture, a granite counter color whatever. The idea person will most likely show up at the more expensive homes where there are things on a grander scale. The “Robber” – although far less common than the above four, an open house is an open invitation for a potential robber to case your place prior to coming back to get what they want. There are also times where multiple parties could be in your home at the same time. It is next to impossible for a Realtor to have their eyes on everyone at all times. There could be a few parties on the 1st floor and someone else on the 2nd floor. Not good! So why do Real Estate agents do public open house’s? There are a few simple reasons. As an agent holding an open house chances are pretty strong you will meet one of the neighbors (see above). This is a great place to establish rapport for future business. Who knows, maybe a neighbor is thinking of selling their home in the near future. If the neighbor and the agent “connect” it could lead to future business in the form of another listing for the Realtor. An agent could meet a legitimate buyer that can’t afford the home they are holding public (see the “unqualified” above) but may be a buyer at a lower price point. Open houses give a Realtor the possibility of potential additional clients they can work with. The seller insists on them! Most sellers will want an open house if they have not been educated by a good Realtor on why they are a waste of time. An agent that doesn’t do much business will often “sell” this as part of their presentation to the seller during the interview process to get the listing. They tell the seller how wonderful open houses are and how much “traffic” will be coming through. What they don’t tell you is the traffic is of very low quality and that they are using your home as a place for them to capture new leads. An open house is a quantifiable action that shows that the Realtor is making an effort to sell the home. There are lots of things that agents do behind the scenes to sell homes but this is the one that is physically apparent. An agent has to drive to the property set up an open house sign and man the property. A seller can physically see that the Realtor is making an effort. 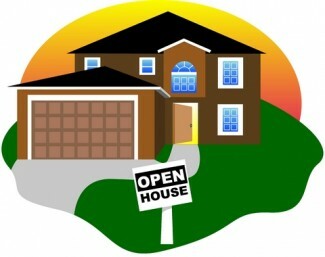 Is it possible that you may get lucky and sell your home through a public open house?….Sure it is but don’t expect it. Again nationally, less than 1% of all homes are sold through a public open house. I have been a Realtor for the last 26+ years serving all of the Metrowest Massachusetts area and towns further West. During my time in the business, I have sold two homes through a public open house. Yes you are reading that correctly just two! I have been involved in over a thousand real estate transactions during that time. Is it any wonder that you see way more of the Sunday open house signs in a down market than you do when things are selling briskly….think about that for a moment. When I meet with a perspective seller client I explain to them right up front about open houses and what they can expect from them. I explain that I do not personally do them, as I have other more productive things to do with my time. If a seller really wants one there will be someone in my office that will be happy to provide this service for me. After all the agent isn’t foolish enough to believe they are going to sell my listing that day. They believe they will find a few clients to work with! It is really silly to believe that a ready willing and able buyer is not going to schedule a showing on your property if they are really interested in seeing it. There will be no lost opportunities if you do not hold your home open. When choosing to work with a Realtor pick one based on their credentials, past track record and their ability to bring real buyers into your home via their marketing efforts! ** It should be noted that an open house for new a new development is different than a re-sale home. Often times builders use an open house to showcase their homes and to provide an example of the type of homes they build including floor plans and construction quality. Want to learn even more about why a public open house is not necessary to sell a home? How about seeing the one way you can actually set up a strategy to make an open house work in a hot market? Take a look at are Real Estate open houses necessary to sell a home. The strategy discussed will only work in an extremely hot sellers market as you need outstanding demand and little inventory. It is well worth the effort though if this happens to be the case in your local real estate market. About the author: The above Real Estate information on Massachusetts public open houses was provided by Bill Gassett, a Nationally recognized leader in his field. Bill can be reached via email at billgassett@remaxexec.com or by phone at 508-435-5356. Bill has helped people move in and out ofmany Metrowest towns for the last 27+ Years. Next post What Kind of Massachusetts Realtor Do You Want? Bill – So true ! Often times they will get no traffic at all, especially on cold, winter days. I recommend sellers that we have an open house 24/7 on the Internet with photos, video, blog, etc…. It is amazing how many open houses were done today in our neighborhood. I walked by one and saw zero activity. Just not smart planning by the agents and not smart decisions by the sellers going with this strategy. You forgot to mention the danger to the Realtor. It is not safe to sit in a home by yourself and let strangers visit and linger in the home with you. If I wanted to do that, I would leave my doors unlocked at home. I could name several frightening examples, one of which happened to a Realtor with our company. Chris – in speaking with some of the other Realtors in my office that hold them there are times when not one person shows up! Sharla – You are right on the money about the safety issue as well. I am located in a very low crime area but I am sure there are other areas that certainly are not! Bill, your analysis of Open Houses is spot on. With under 4% of homes nationally selling at Open Houses, the Sellers can skip this and still have their home marketed by the best. For sellers you’re absolutely right, the chances of them selling their home at an open house are pretty slim. It really is more of a tool for agents to meet potential clients. Having said that, if the home is in a high traffic area it might still be worth holding an open house. As agents our job is to “get the word out” and lots of visitors means lots of people talking to friends/family/co-workers that may lead to a sale in the future. I like Sharla’s point about safety too. Too many agents disregard this one. Sharon – I know there are plenty of folks that would love not to have to leave their home on a Sunday. Far to many home sellers are given the false promise that open houses are going to be a magic bullet for their home sale. Great article regarding Open House for all the reasons previously mentioned. If local print media was to run this article it certainly would be helpful and not just considered one salespersons opinion. Sellers will quite often request Open House because other salespeople feel the need to. I find that if the salespeople toured the listings during office inspections they do call their buyer clients and arrange personal showings. I also find that during an Open House most attendees are working with a Realtor and it is impossible to do a service to the seller client by having, in some cases, 15 – 20 people arriving at the same time and wandering through their house on their own. The one-on-one approach is the best system. I must admit, it is a great tool for new Realtors building a client list as long as they remember to obtain permission to do follow up calls under the privacy Acts of this day. The statistics are telling, you are right. Not many homes sell at open houses. But sometimes they do, and what I’m finding lately (in my market anyway) is that open houses will make fence-sitting buyers nervous. They may be waiting for the price to drop on a specific home, then they see the open house ad and worry that someone else may buy the home they want. Voila – an offer goes in the day prior to the open house. As a listing agent, I’ve sold resale homes during open houses. (The party atmosphere suits my style I guess.) It’s a tool that we should have in our box of resources and use as needed. I agree with you, though, sellers should know the odds of a home selling during open house vs. buyer’s agent showings. Show the seller where the highest odds run. Nice post, as always. My wife and I first saw the South End condo where we will have lived for the past 5 years at an open house. Open houses were also an important tool for us as buyers to get a better understanding what was available in various downtown Boston neighborhoods. When we sold our single family in Brookline, we also had 2 hot prospects that first came via open houses. Our ultimate buyer however came with a buyer’s agent. From my prospective as a home buyer and seller, open houses are an important part of the home buying process. Rich – Thanks for dropping in and commenting on my blog. I will not argue the fact that open houses can be convenient for buyers. It is always nice to know in advance a set time schedule for viewing a particular home. I agree with everything you’ve said – both pro and con. I do them because in this market, I want to do everything possible to sell the home I’m marketing. It is a very small chance, but it’s a chance. Last Sunday I had 12 couples through a new listing. I had a call back from only one, but they liked the house and as soon as theirs sells…………………….! Bill, I have sold at least one home a year from a public OH. And, I have sold my own listings and got both sides of the deal on 3 of them. Granted some homes don’t warrant an OH but I think it is a way to get the house “in the market”. It is up to the agent to promote the home so that people want to see it and OH is one tool. So Marty if you did not hold the open house do you think the buyers would not have scheduled an appointment to see it? Highly doubtful! I am not saying that a public open house does not make it convenient for a serious buyer to see a home but more often than not the foot traffic going through is of very poor quality for all the reason I mentioned in the article. One home a year is still not that good but much better than the national average! Great post Bill. Truthful!! Open Houses are to pick up future business for the real estate agent. And my theory is: The house WILL SELL without the Open House. If selling the house through an open was the only way to sell the property — then by all means, do the open. But, they’re not the only way. Most properties are sold via the MLS, and in a lot of causes with a buyers’ agent working with buyers. Thanks Carla! There are many Realtors I know that promote open houses as a great marketing activity. They can be a great marketing activity for the Realtor no doubt. Selling the home that is being held open is another story all together. We both know how rare that is! I’m currently an approved buyer. I just went under agreement on my condo and am ready to go. 5 months ago when I started going to open houses I wasn’t a serious buyer. I just wanted to get a feel for the type of house I might want so that I’d be ready to strike when the time came. Well now that I’m ready, I’ve noticed that only 2 of the 20 (est) houses I’ve looked at during Open Houses have actually sold. So now my favorite open house houses are my “second showings” for this week. I agree with you on all your points, but I do think open houses serve as an educational purpose for people that are almost ready. I didn’t want to waste anyone’s time but since the realtor was already there with the house clean, I figured I wasn’t hurting anyone by taking a look. I’m glad I had that option. Also, this Sunday, I’m going to more open houses for properties new to the market. They are the kind of properties that I don’t think I’ll really end up loving but “you never know.” So rather than wasting time scheduling showings, I’ll just pop in and see how the houses are laid out. Maybe one of those sellers will land a sale. Hi Nicole – Thanks for your comments on your experiences with a public open house. I do agree with you that an open house does make it convenient for a buyer to just stop by and browse through some properties on a weekend. I think you would probably admit though that if you saw a home come on the market that you really wanted to see you would schedule a showing with the Realtor you are working with. My point is that a seller 99% of the time is not missing out on buyers that would purchase the home if they did not have the open house. has anyone done open houses on saturdays vs sundays? Marilyn from time to time you will see some agents trying open houses on a Saturday or even during the week. An open house done on one of these days is even less attended than on a Sunday. Thanks for the info! is there anything we can do to move the sale along without giving the “store” away? Hi Bill, I think there are circumstances that make an open house a very good thing to do, for both the seller and the buyers. You have to know when it stands a chance of being productive, and when it probably will be an uphill climb. I’ve done many many many of them over time, and have sometimes sold the house from them as well. What I find out, though, is that many agents who specialize in listings do not like to do open houses. Do you think that’s true? Julia I don’t think that it is agents that specialize in listings that don’t like to do them. I think it is productive agents that don’t like to do them. Agents that do an open house are doing so for the opportunity to potentially meet new clients. Maybe a seller done the street who is thinking or selling or a new buyer prospect. I don’t think Realtors sit at a home thinking they are going to sell it that day of the open house. That would be like thinking you are going to go down to the convenience store and buy a winning lottery ticket. I will ask you the same thing I ask everyone else….do you really believe that if the open house was not held someone that was really interested in the home would not just call to schedule an appointment? Open houses are a waste of time for a home seller. Are they a benefit to an agent? Yes an agent can pick up a potential client. This is why Realtors are willing to waste a Sunday afternoon doing something that more often than not is very unproductive for selling the home they are sitting in. I just came across this post and couldn’t agree with you more. When I have a client ask me to do an open house I say I will gladly do one for you. Just make sure the refrigerator is full (I like shrimp), and you teach me how to use the remote on the TV and stereo! Here’s a different perspective, Bill. Owning a for-sale-by-owner service and working with consumers since 2002, home sellers often have questions regarding open houses: how many to have, when to have them, how to advertise them and the big one…do they work? When I tell them that less than 1% of AGENT LISTED homes are sold through an open house, they are crestfallen. Then I give them the good news – they are a great way to promote homes for sale in the private market. Buyers who may feel reluctant to make a private appointment to see a property (through an agent or private home seller) are seldom opposed to checking out an open house. Often it’s a great ice breaker as the families chat about commonalities. Many, many properties that we have advertised in our real estate magazines or on MA4salebyowner.com have sold as a DIRECT RESULT of an Open House. That said, there are ways to maximize on the event that we share with our sellers – when to hold them, how long to hold them, why to hold them, how to invite others to them, how to keep your valuables safe, and how to create competition. We’ve even done Open House Weekends where private sellers offer to share info. with others, creating neighborhood events. I’ve seen agents pull OPEN HOUSE signs out their trunk 15 minutes after their open house was to start and even tell sellers they’d only do a one-hour open because they wanted to do another one the same day across town. Agents who sit in the kitchen alone during an open, while allowing visitors to roam the house isn’t my idea of protecting personal property. We suggest to sellers that they have a couple of friends come over and browse areas so that their is always activity going on. In ten years of marketing assistance, we’ve not had safety incident arise from an open house or private showing. Very thankful. Liz I have been in the Real Estate field for 25 years and have never ever experienced your statement “Buyers who may feel reluctant to make a private appointment to see a property (through an agent or private home seller) are seldom opposed to checking out an open house”. What kind of SERIOUS buyer is reluctant to see a home? That seems really silly. This does not sound like the kind of buyer I would be overly concerned about seeing the home. I don’t know too many REAL buyers who are afraid or reluctant to see a home with an appointment. I have to say that I am looking at houses and I always look at open houses. If I see what I like I call my realtor to take me back a second time. I am ready to make an offer on a house I did see at a open house. Same with my friend who is looking. We like to look online to see all the open houses listed for Sundays and we go looking. This saves us having to schedule and follow our realtor around, and if we go, we go and if not oh well. Its too bad for all those houses that did not hold open houses ..we may have missed a couple good ones. I am on Facebook and a lot of people I know look that way…look online for the open house schedule and then view the houses. I think realtors are getting way too lazy with the internet. All I hear is MLS MLS MLS. They’ve taken the sales out of selling homes. My house has had 3 open houses and we had up to 10 people at each. Some coming back a second time. Jim you are right open houses do make looking at a home convenient. You however, are very mistaken if you think this is the way the majority of home buyers look at homes. Most buyer’s schedule showings with a Realtor. You are making it sound like the homes that are not holding open houses are the ones losing out because if there isn’t one you won’t be seeing it. I think it is really you who is limiting yourself not the sellers. I think we both know there are lots and lots of homes that do not get held open. I think you are really exaggerating a bit with this one Jim. In regards to Realtors being lazy because of MLS, isn’t it your Realtor who is not out showing you these homes on a Sunday? I would say there is far more laziness in that. Bill, I think you are underestimating the importance of the open house to a new buyer. You did not even list “buyers just beginning to look” as one of your categories. I suppose you are just seeing this from the seller’s and agent’s perspective. But as buyers starting to look , my wife and I prefer to search the internet to get an idea of the houses that interest us, and then go see any houses that are holding open houses. If this avenue were not available then we would need to find a broker and waste his or her time viewing many more houses in order to get a feel for houses in my price range. I think there are many buyers like us that need to see a number of homes before making an offer. This does not means we are not committed or not qualified to buy. It is just part of the process. So you can claim that open houses are a waste of time for a seller, but certainly not for buyers, or the selling process in general. It helps buyer’s understand what they want and can afford, and gets them get closer to knowing what house that they will make an offer on. Doesn’t that help agents and sellers? Rob I am not disputing that an open house does not make it convenient for a buyer “who is just starting to look”. The question remains is how many buyers who are just starting to look are ready, willing and able to buy a home? Not many!! An open house in a hot market is probably just the thing for sellers who place a premium on a lack of inconvenience. Having said that, I am firmly in the “open houses benefit the agent more than the seller” camp. With today’s razor thin inventory, a well-priced home with quality could easily see multiple offers on a home if the open house was the first exposure the public has to a property. Todd – I do agree there are some circumstances where setting up an open house to have a bidding war might work in a market where there are very few homes for sale.